You might have been studying Quran on your own by using some app but you still have problems with reading Quran fluently. Learning Quran by yourself isn’t easy, but at ReadQuranBook you will have lessons with live Quran tutors. We promise to provide quality Quran courses that will help you reach your goals easy and faster. Enjoy interactively, “one on one” online Quran classes for kids, adults, and sisters with the increased flexibility. We provide a variety of courses, you can choose any of them and start learning or you can contact us and let us know what is your goal and we will help you achieve that. Filling out the short registration is easy, we need some basic information with promised privacy, once we got your message we will get back to you within 24 hours. We offer free classes so that you can evaluate the lessons and see if it suits your need. Once you are done with your free Quran lessons, we will schedule regular online Quran classes. We hire only highly educated Islamic scholars with an intense experience of face to face and online Quran teaching with tajweed, most of our Quran tutors are Huffadh and have at least masters degree in Islamic Studies. We have many online female Quran tutors available for sisters, we realize that it is more easy and convenient for sisters to learn from female tutors, discuss their daily issues and get the guidance in light of the Quran. Since we teach holy Quran worldwide, we are available 24/7, once you had your free trial lesson, you will let us know the schedule for your online Quran classes and can take classes at your convenient time. 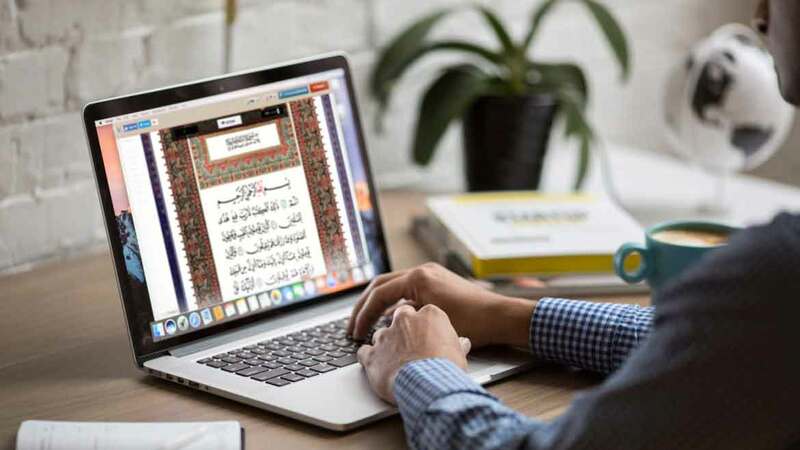 Start learning Quran online with your live Quran tutor, one on one with no distraction at all, you can ask anything about your lesson, your teacher will not move until the subject is clear and you have understood your lesson. You will not be stuck with the course that you selected when you enrolled, you can switch anytime, also if you’re not sure which course suits your needs then you can discuss with your teacher and get the guidance. Our online Quran learning programs are suitable for students of all ages, and all levels, inshaAllah you see that learning Quran with us is going to be more fun and interesting, kids really enjoy our Quran lessons. We provide many Islamic courses online, for every age and gender. from basics to advanced levels, you can learn Quran online , hadith, Fiqh and much more with us. All course provided by readquranbook are fully customizable according to students’ needs, you can let your online Quran teacher know and you will be learning whatever you want to. Don’t know how to read the Quran? This course is for those who don’t know how to read Qur’an in Arabic with tajweed. online Quran reading with tajweed course helps you to recite the Quran with correct pronunciation. In this course you will begin with basic Quran reading lessons like alphabets, harakaat of letters, madd, waqf and every other single small detail, that you need to know for Quran reading with tajweed, we guarantee you that after a couple of lessons you will be Quran correctly. This course also improves your Quran reading in Arabic skill, in the result, you will see that you are becoming more fluent in Quran reading. Tajweed is the most important part for Quran recitation, whether you’re memorizing holy Quran or trying to learn how to read it. Unlike the other languages, in Arabic pronunciation matters a lot, If you’re not reciting holy Quran with tajweed then you might be making some kind of mistakes that can invalidate your Salah without even realizing that. when you learn tajweed online with our teachers you will find out how to avoid such mistakes. 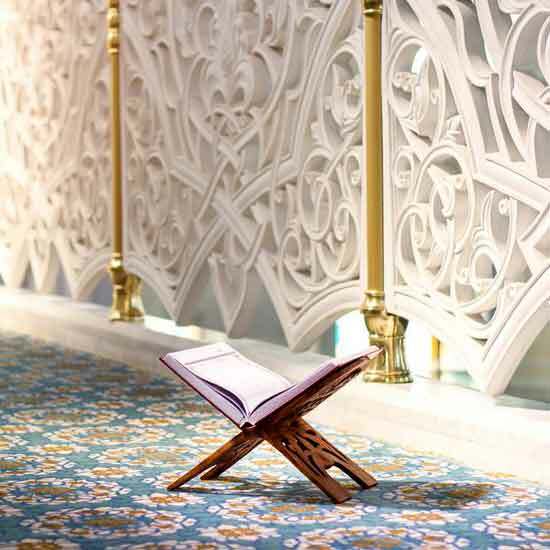 In this course, you will be introduced with tajweed rules that help reading and to recite Quran correctly with the Arabic accent, after completing an online Tajweed course you will be able to lead the Salah as well. 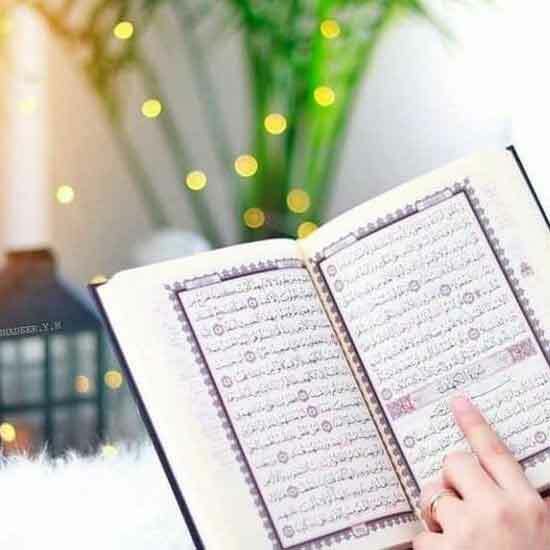 Online Quran memorization course, also known as Hifz or Hifdh of Qur’an course is to help you learn how to memorize Quran online with tajweed, this course is available for those kids, sisters, and adults who already know how to read Quran in Arabic. 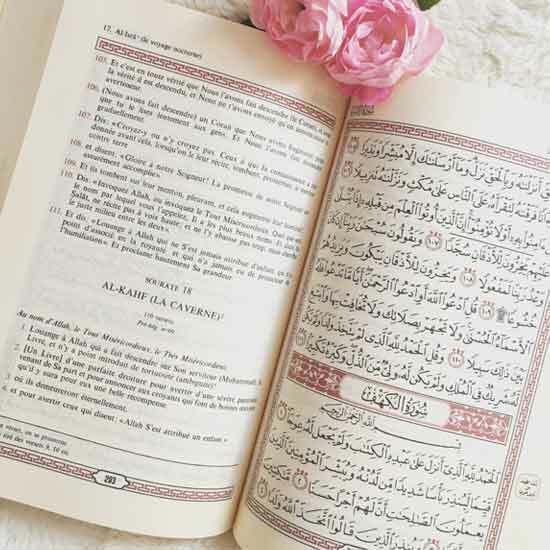 In this program, you will start with memorizing short surahs of the Quran. Quran memorization program also improves your tajweed and understanding of the holy Quran. In this course, your Quran instructor for Quran memorization will be sharing useful tips, which will boost your Quran memorization process. We will provide you with a complete Quran memorization plan after you schedule your regular Quran memorization classes. 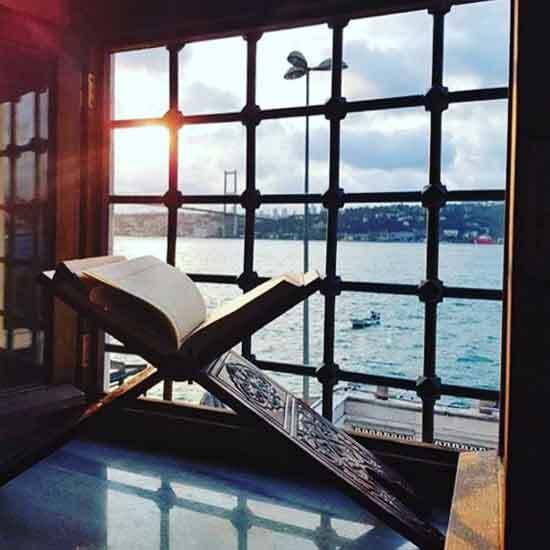 The reason why Allah SWT revealed the holy Quran is so that we can study holy Quran, understand it and get the guidance, so that we can become good people and we can spend an awesome life, also we can become successful in this world and in the hereafter. Online Quran translation course is designed to help you establish your connection with Quran by understanding it. Online Quran translation course includes Quran translation and tafsir, you will learn Quran Arabic, word to word translation of Quran, background stories of Surah or Ayahs and everything that we need to understand Quran. we understand it’s natural for some people to be skeptical and there’s really no substitute for experience. if they don’t like our online Quran classes or if it doesn’t work for them for whatever reason it won’t cost you a thing. so if you’re looking for a dedicated specialists to work one-on-one with your child to help them learn Quran online with tajweed or any other Quran courses, then all you have to do is let us know by getting registered whenever you’d like to try your first online Quran tutoring session and we can get started right away. With online Quran learning the student gets help from the comfort of their own home and nobody has to drive anywhere, that saves both time and gas money. Online Quran classes eliminate the distractions that would come from meeting in a public place, and most kids are used to the online environment these days and probably use Skype or some other program to video chat with their friends and relatives, which is just the same as video chatting with the online Quran tutor. Another advantage of online Quran courses is the selection. A lot of families just aren’t able to find the best online Quran tutor who can help with Quran learning with tajweed online, or for Quran memorization, but with readquranbook you have access to a much greater selection of online Quran tutors, which means that you can make your decision based on which Quran teacher is actually best for your child, rather than just on who happens to be available.